I always know when the season is about to change, trees start to blossom and I start to see social media over taken with Mums, everywhere, asking when will the Bluebells appear and where will they be? The beauty of social media keeps me updated as it really helps me see what mum’s are looking for when thinking of their family photos. Plus it help’s me to plan photography opportunities to help families capture the photograph they want. How did we ever live without it!?! 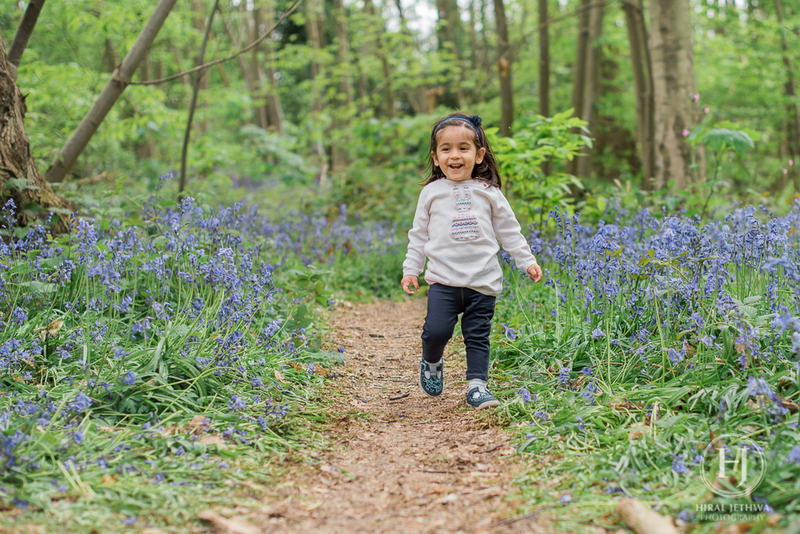 They are asking these questions because they can make for an amazing backdrop for capturing photos of your children enjoying the outdoors and the colourful woodland around them! 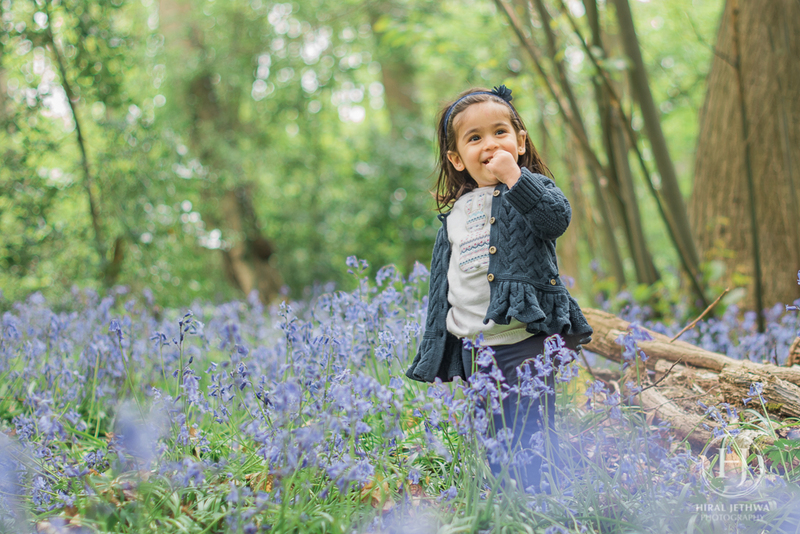 I want to take this ‘Beautiful Bluebell’ opportunity to offer mini Blue Bell photo sessions in the last weekend of April. quick short session to see if their kids enjoy being captured outdoors. Whilst planning my mini sessions I put together a list of tips to help you guys out who want to take photos on your phones or learn more about capturing photos on your DSLR. 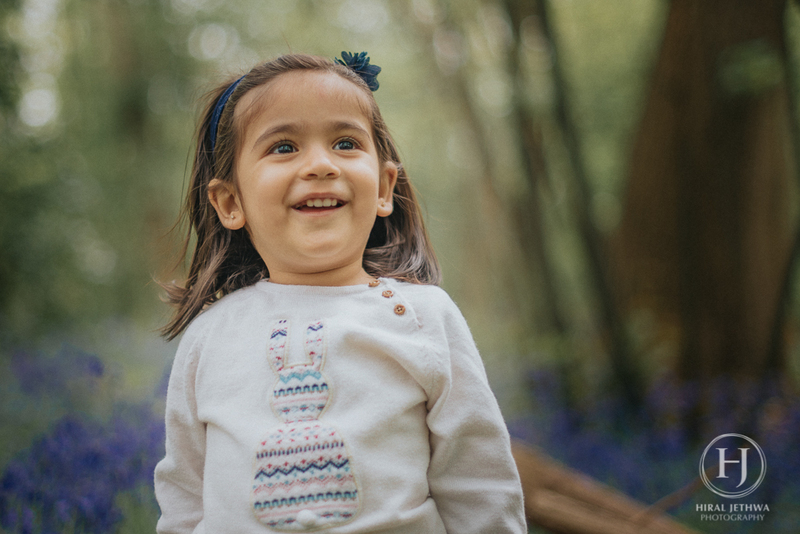 Please see the list below or if you want to leave it to me to capture the photos and your family enjoy a day with the Bluebells please click here to learn more about the mini sessions I offer. PLEASE NOTE: Bluebells are an ancient wildflower but they can be vulnerable to habitat destruction so make sure that when you go exploring your local woods, you cause as little harm to them as possible - don’t pick, don’t trample, leave them as little disturbed as possible. can often be faced with very bright patches of light which can create unevenly lit images. the easiest way to get great results is picking a bright overcast day for taking photos. That way you won’t have to fight harsh shadows, spots of light or consider the direction of sunlight. Pick an area where the bluebells are nice and dense to capture the amazing colours of the flowers – example below by focusing on the logs in the front, the bluebells melt into background, creating a beautiful scene, rich in colour and with subtle texture. Get down low! I love shooting low to the ground. Anything that gets you away from ‘eye level’ will really help your images stand out from the crowd. Shoot lots! Digital photography allows you to experiment, so take lots of different photos from all directions and angles. Think about how you can take photos to create more interesting composition. Look for details to focus on to help create a story of your day. Don’t ask your child to stand still and smile at the camera. Instead, get them moving, playing games, making silly sounds – get them doing what they love! If you use a DSLR I would recommend using a longer focal length as it helps to create separation and reduces contrast from the background. It adds a magical feel to the photos….Use a variety of different lenses. With bluebells, I love to use my prime 50 1.4 lens as this creates that beautiful blurred background to create an image like a fine painting. Use a circular polariser. I found this really helps the colours of the bluebells pop and also helps reduce glare and reflections from the trees and leaves. I use a Hoya 3 stop filter to block out the light if it is too bright. If you know your camera settings, set it to Aperture Priority mode (A or Av on most cameras), dial the setting as low as it would go, and zoom in with your lens. This will help you to create that nice blur in the background and get nice background compression too. Capture photos of your children having fun, of their childhood and challenge yourself to get in the photo too!